Off to a great start that is. 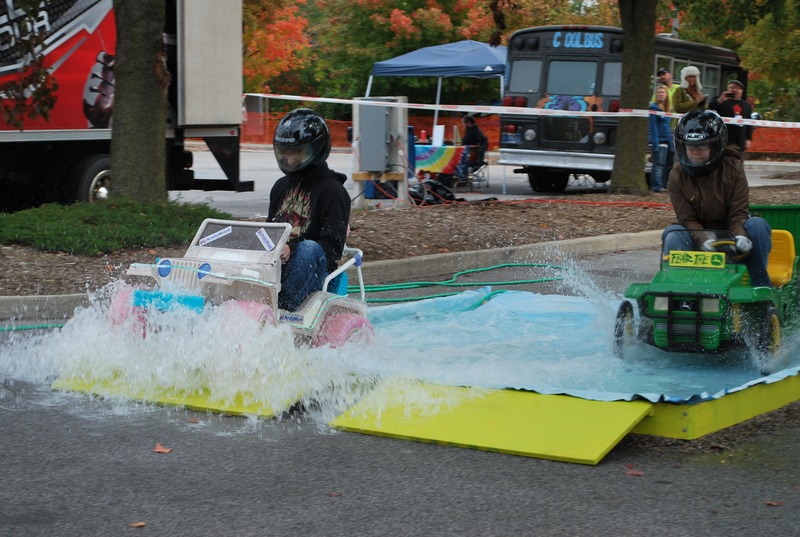 You might have seen adults riding modified kids electric ride on vehicles as they made it through obstacles of sand, water, gravel and mulch at last year’s Fort Wayne Maker Faire. We had so much fun Fort Wayne was invited to join the Power Racing Series (PPPRS). Much like NASCAR where race teams compete at stops along the circuit in order to earn points for bragging rights at the end of the season, the PPPRS will be stopping at the 2013 Fort Wayne Maker Faire. Other 2013 stops include the Bay Area, Kansas City, Detroit, and New York Maker Faires. Pretty cool for “little ole” Fort Wayne. Check out Racing Rules and register your team today. This entry was posted in Uncategorized and tagged Maker Faire, PPPRS, The Race. Bookmark the permalink.